Categories: Boxe, Noutati, Subwoofer. Tag: MartinLogan. Nici un producator de boxe nu a urmarit o idee, un crez, cu mai multa perseverenta decat Martin Logan. Esenta sunetului unic al boxelor Martin Logan este o consecinta directa a superioritatii tehnologiei panourilor electrostatice si a dorintei de a oferi clientilor senzatia ca sunt in aceeasi incapere cu artistii/muzicienii/interpretul. In zilele noastre, panourile electrostatice produse de Martin Logan au diafragma mai usoara decat aerul pe care-l misca si mai subtire decat firul de par, oferind cel mai bun raspuns posibil in frecventa, transparenta absoluta, realism si precizie chirurgicala, fiind un adevarat triumf al tehnologiei si al ideilor inovatoare. Din integrarea perfect echilibrata a panourilor electrostatice cu cele mai bune difuzoare de bas, a rezultat obtinerea unor boxe hibride ce se bucura de aprecierea unanima a pasionatilor de pretutindeni. Cunoscuta in primul rand pentru pozitia sa de lider mondial in producerea de boxe electrostatice, compania cu sediul in Lawrence, Kansas, construieste si unele dintre cele mai apreciate subwoofere din lume, fiind totodata intre primii trei producatori mondiali de sisteme multicanal high-end. 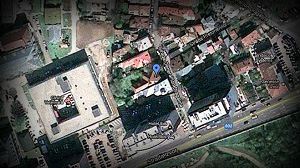 -Sursa de sunet este liniara, dispersia fiind perfect controlabila.Aceste caracteristici se traduc printr-o pozitionare facila a boxelor fata de punctul de auditie, indiferent de configuratia si dimensiunile camerei. O caracteristica de baza a boxelor hibride Martin Logan este lipsa refexiilor din podea si tavan, oferind un control foarte bun al sunetului. -Fiabilitatea si rezistenta la socuri mecanice este superioara boxelor clasice. Diafragma este practic imuna la perforare, sunetul nefiind afectat chiar daca se intampla un accident. Panourile electrostatice sunt absolut sigure in utilizare, neexistand nici un fel de pericol in cazul atingerii lor accidentale. -Reproducerea frecventelor medii si inalte cu ajutorul tehnologiei electrostatice elimina necesitatea unui crossover intre cele doua plaje de frecvente, obtinandu-se o linearitate exceptionala, imposibil de atins utilizand solutii conventionale. -Diafragma utilizata de Martin Logan cantareste de cateva sute de ori mai putin decat membrana unui difuzor conventional si din acest motiv cursa este extrem de scurta si de rapida, practic nu exista inertie, iar suprafata radianta este mult mai mare. -Wooferele utilizate pentru frecventele joase au o caracteristica specifica Martin Logan, difuzoare de mari dimensiuni fiind montate in cutii mici pentru a se obtine rezonante extrem de reduse. Crossoverele folosite intre frecventele joase si cele medii sunt extrem de performante. -Lipsa necesitatii unei incinte in care sa fie montate tweeterele si difuzoarele de medii ofera o neutralitate absoluta sunetului, acesta fiind lipsit de interferentele/coloratiile date de cutie, naturaletea obtinuta fiind foarte aproape de perfectiune. 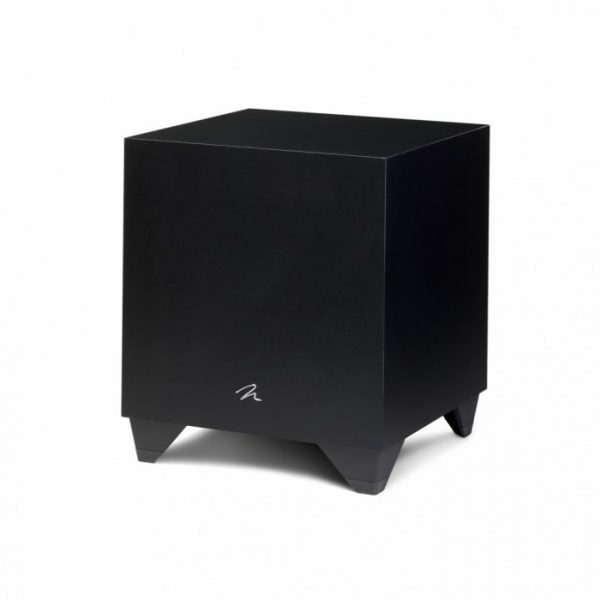 Dynamo 600X features a 240 Watt (peak) amplifier, 10-inch audiophile grade woofer, extensive input options, optional wireless connectivity, control via a Bluetooth app, and Anthem Room Correction (ARC®). Dramatic bass detail and attack, superb extension, and room-shaking output ensure a compelling music and home theater experience. 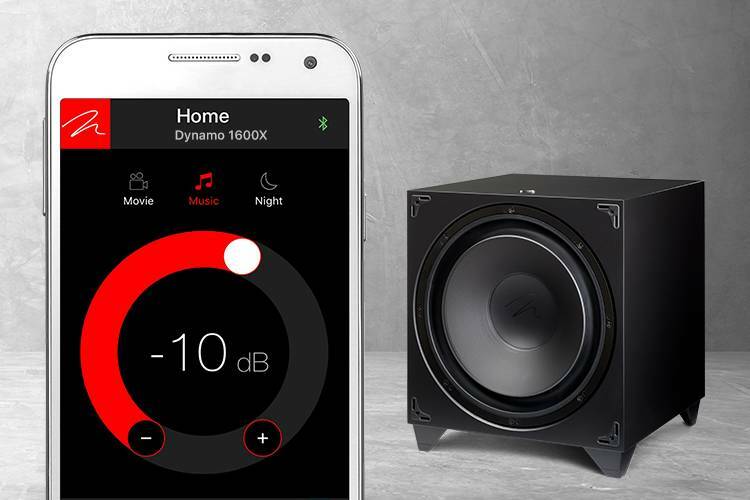 MartinLogan’s Subwoofer Control app uses a Bluetooth connection to simplify setup and configuration of Dynamo 600X, 800X, 1100X, and 1600X. App based controls include volume level, low-pass filter (frequency and order), phase, 20–30Hz level, three preset listening modes, and control of Anthem Room Correction. A unique tone sweep feature assists users in locating areas in listening rooms where troublesome rattles or resonances may occur. A single press of a button allows listeners to initiate a tone sweep from 20–120Hz. If a rattle or resonance occurs in the room any frequency can be held, allowing the listener to investigate and identify the source of the unwanted noise. In the lab, MartinLogan engineers strive for transparency. Outside the lab, there’s one wildcard our engineers can never account for—the listening room. The unique size and shape of a listening space (and its contents) can make bass waves do unpredictable things, greatly affecting a subwoofer’s overall performance. Anthem Room Correction measures low-frequency sound output in a room and compares it to optimal response curves that account for spatial anomalies. The advanced algorithms of Anthem Room Correction effectively remove anomalies, leaving only the ideal standard— realistically blended, natural-sounding bass. Dynamo 600X, 800X, 1100X, and 1600X utilize a Bluetooth connection with a smartphone or USB connection with a PC to run Anthem Room Correction. 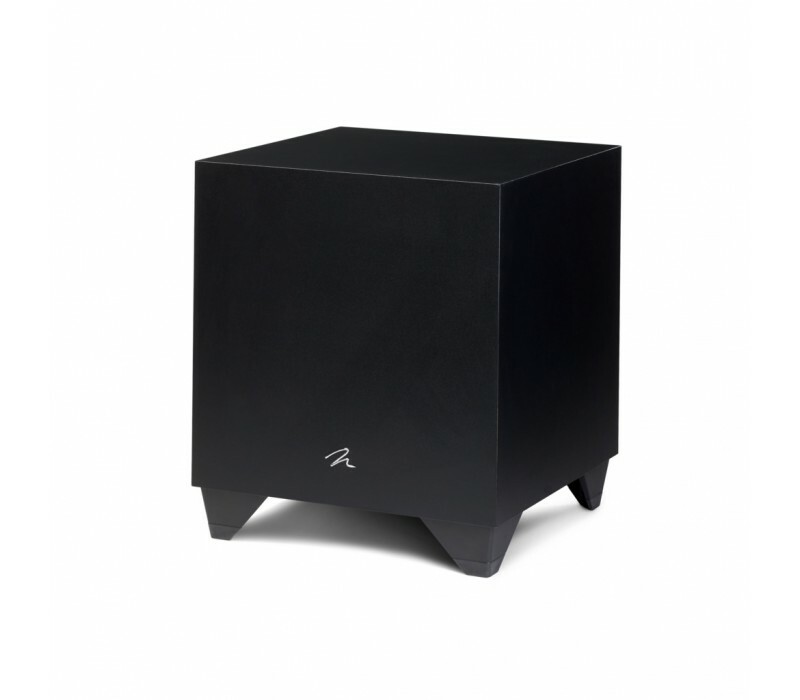 Although correct placement plays a key role in optimizing subwoofer performance, sometimes it imposes the inconvenience of running long lengths of cable through walls, along baseboards or under floors and carpets. To solve the problem, Dynamo 600X, 800X, 1100X, and 1600X include a connection port for an optional wireless system. MartinLogan’s new SWT-X Wireless Subwoofer System (sold separately) incorporates the latest in wireless audio transmission technology, including 2.4GHz dynamic frequency selection, forward error correction, and a range up to 50 feet. 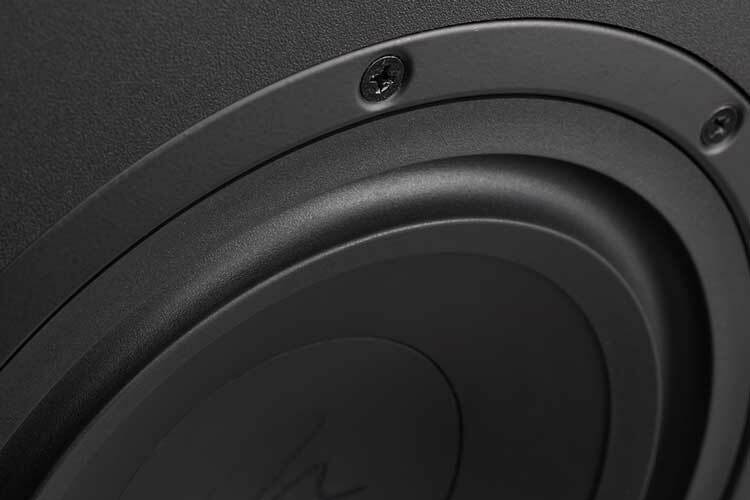 Dynamo 400, 600X, 800X, 1100X, and 1600X subwoofers feature left and right input via RCA line level as well as speaker level connections. Dynamo 400 and 600X’s right inputs double as an LFE input for home theater applications. Dynamo 800X ups the ante by adding a discrete LFE RCA line level input. Dynamo 1100X and 1600X go one step further by adding both XLR and RCA inputs for LFE connection. The latest generation of MartinLogan Dynamo subwoofers feature advanced-design woofers with inverted surrounds and powerful magnet, motor, and suspension designs. In front-fire mode the unique inverted surround design maximizes excursion clearance behind the grill cover. When positioned in a down-firing configuration, the inverted surround significantly reduces airflow related turbulence for an articulate and detailed low-frequency experience. Dynamo woofers pair a high-power magnet structure (significantly more robust than previous generations) with low-mass diaphragms to provide massive excursions while perfectly preserving the tiniest bass detail. The exceptional damping properties of the cone ensure a smooth, non-resonant response necessary for truly seamless blending with high-performance loudspeakers. Every element of Dynamo subwoofers has been meticulously designed to deliver a staggering low-frequency performance, in a compact footprint, and packed with the latest technologies – all without a hint of distortion. Dynamo subwoofer class-D amplifiers operate with extremely low levels of distortion and deliver dynamic impact with plenty of overhead. 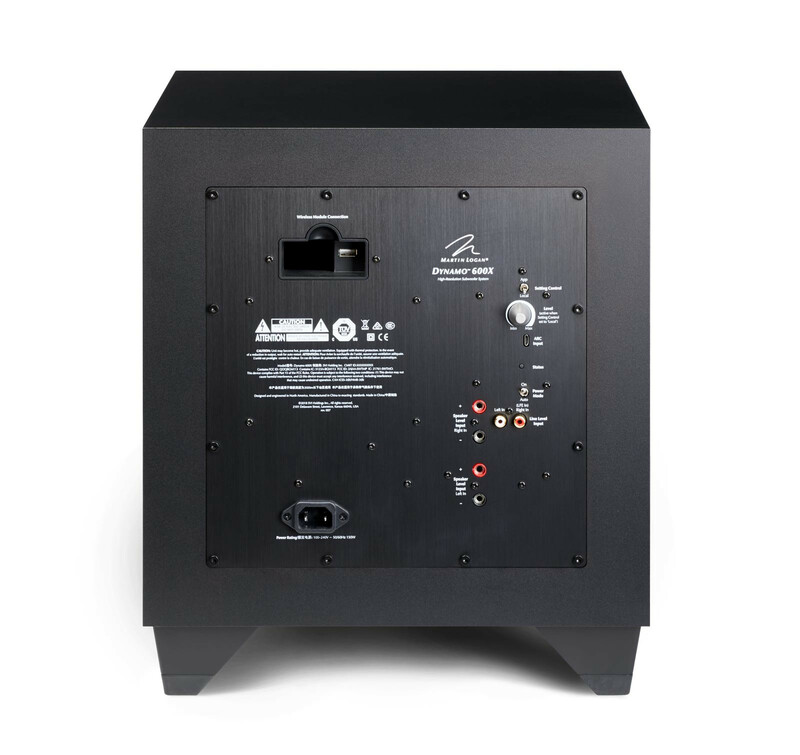 Low- noise, high-power switching power supplies produce clean power efficiently in a small space and effortlessly provide tremendous levels of current. Both feature high-quality MOSFET transistors, transformers, noise-suppression networks, and control circuitry. The switching power supply combined with reliable class-D technology means there’s virtually no energy lost in the subwoofer system. The IME filter used in the Dynamo subwoofers is derived from the inverse of the unfiltered driver response. Precision IME filtering yields extremely accurate low-frequency response—superior to that provided by the simple second-order high-Q filters typically found in subwoofers in this price range. Frequency Response- 27–200 Hz ±3 dB. Anechoic in LFE mode. Low Frequency Transducer 10” (25.4cm) high-excursion, inverted surround, polypropylene cone in a stamped steel basket with extended throw driver assembly. Ported.